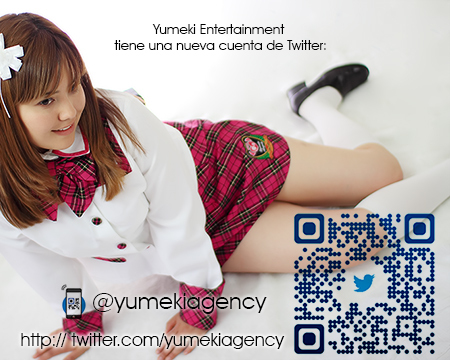 Yumeki Entertainment Agency is a cultural organization with basis in Mexico, which objective is to reinforce the cultural bows between Mexico and Japan through the approach of mexican youth to the Japanese "idol" music. The japanese traditional "idol" concept as a cultural expression it's an optimal route for cultural approaching, impelling of social ethics and human values, creating strong bonds between societies for a better cultural and business environment. Also, not just a cultural exchange, but also, the japanese companies will get benefits since we create in hispanoamerica (Spain, Mexico, Central and South America) the spread of japanese culture and consumer trends from Japan. Increase trade relations between Mexico, Spain, Latin America and Japan in the field of entertainment, promoting of Japanese Artists, mainly of female idol genre 女性アイドル. 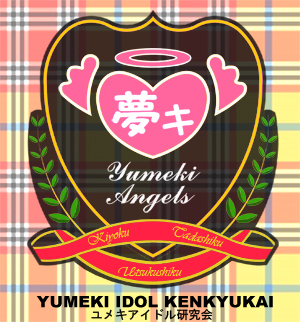 Since 2004 we are promoting the japanese music and the "japanese idol concept" through our first portal magazine with daily news www.yumeki.org and our Network of affiliated sites with many articles. With valuable contents and unique focus, we reach thousands of people at spanish-speaking countries around the world, promoting the daily information about the world of japanese entertainment. Our news are classified as "news articles" by Google and Microsoft Bing, the main search engines. We created also many articles about "japanese idol culture" at Wikipedia in Spanish and English. At 2006 we created the first "wotagei" ヲタ芸 guide in a foreign language at our site wota.tv and a historical registry about japanese idol movement. We perform not just the first "jyosei idol" event in Mexico, but also the first "wotagei" performance in a country (Mexico) outside Japan. 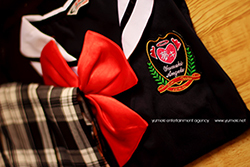 Organizing regional events and promoting the japanese idol concept, we are creating a greater impact. Creating a production house of multimedia contents, always looking for improvement and reaching a better insight into the audience.We 're getting all the infrastructure to create a greater impact, to boost japanese music genres to latin-american people. We know all local challenges to positioning japanese trends in face of dominant styles (both, american and regional). Yumeki Studio is our department specialized for multimedia production and design for external clients. We provide to our clients: web design, video production, photography, post-production, special effects, computer design and advertising. We have the tools and experience to help our clients to reach a great impact, creating from the logo design to the website, corporate videos and photography.